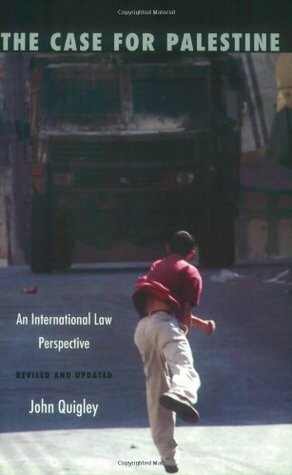 I read this book after I had read The Case For Israel because for my exhibition I also needed to know how Palestine's people felt about the conflict. The book was very similar to the previous book I had read, same format, very simple to read and was able to find all the information needed for my topic. Each question per chapter was presented with lots of evidence. It was great that I found this book because writing my exhibition paper would have been difficult with only Israeli's thoughts and nothing coming from the Palestinian side. I used the two books to compare the clashing ideas and incorporated the evidence into my paper. Brilliant... read it together with Dershowitz's "The Case for Israel" followed by "The Case for Peace"